If the studio does not have the authority of it dancers, individual Waiver & Releases are required. The choreography is protected but is released by the Studios agreement to our Waiver & Release policies. The studio should have the authority to waive liability and release rights of it dancers. Any dancer participating in a Thunderstruck Canada Dance Corporation (Thunderstruck Canada) event is understood to recognise the risks inherent in dance and dance performances. 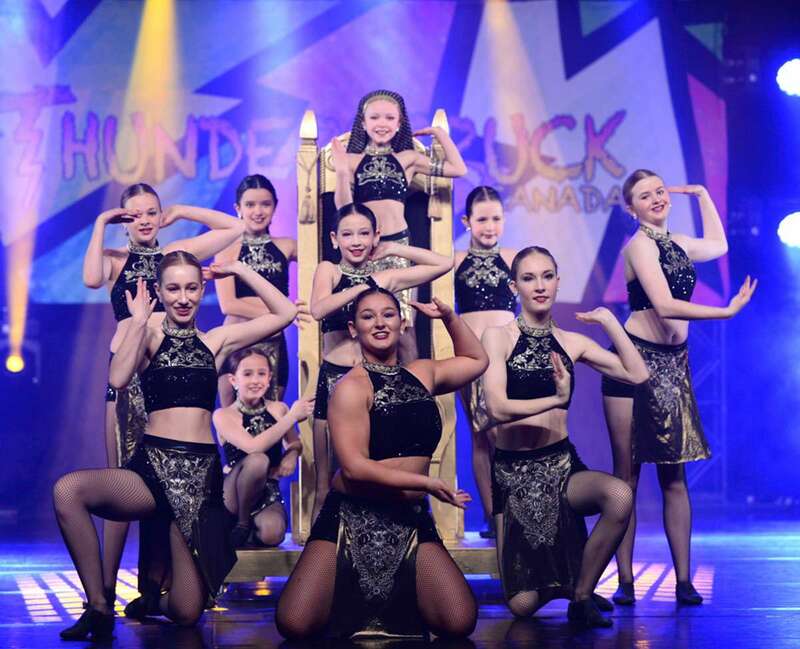 Participation in Thunderstruck Canada's dance competition, individual performances, conventions, workshops, studio intensives, camps or classes indicates the acceptance of such risks by dancers and their parents/guardians and studios. Thunderstruck Canada assumes no responsibility for personal injury or property loss at these events. Studios are required to have the authority to sign a Waiver & Release on behalf of its dancers, staff, teachers, choreographers, chaperones, volunteers (including prop dads) or anyone that will be attending in a capacity to assist the dancers or studio and, that will be backstage before, during, or after the event. If the studio does not have this authority, we will require individual Waiver & Releases in advance of the start date. Studios, choreographers, performers, and their parents/guardians automatically grant permission to Thunderstruck Canada to use their photos & videos for publicity purposes, including ads, television, videotaping and film broadcasting in connection with promotional campaigns whether they are in print, electronic or via social media. 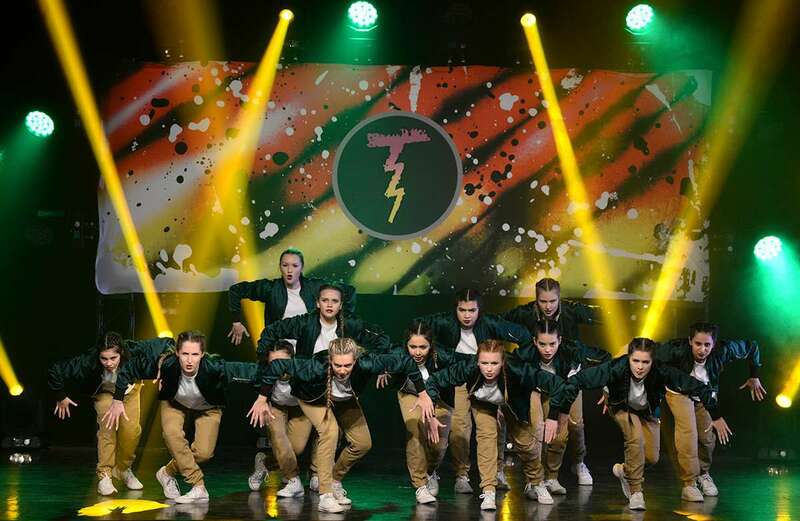 Thunderstruck Canada will post videos of overall winners to our website and social channels as well as additional photos and videos at its discretion. We strictly prohibit the use of recording devices of any kind in the theatre, including backstage. Thunderstruck Canada does not allow the use of audience photography or videography of onstage performances for the protection of our competitor's & choreographers. We urge all studio owners, teachers, and especially parents to keep our performers photographically safe. Patrons caught recording will receive a warning. We reserve the right to review any record made on the device and at our discretion to delete them. If there is a second violation of this rule, the patron will be invited to leave the theatre. Thunderstruck Canada retains the exclusive right to all imagery from our competitions whether it be photographs or video. Your purchase grants the right to print digital images and make backup copies of DVDs for your personal or studio use only. You can publish purchased photos on social channels provided you acknowledge and "tag" Thunderstruck Canada with approved hashtags. Posting pictures not obtained from Thunderstruck Canada or not correctly recognising Thunderstruck Canada will be considered against our consent and in violation of our the protection of the cinematographic portions (not the choreography or music) as provided to us under Section 5.1.B of the Copyright Act of Canada. Publishing videos either purchased or recorded without consent is strictly prohibited. Thunderstruck Canada will not be responsible for damage or loss of belongings in any area of the venue, including but not limited to parking areas, loading docks, backstage, green room, change rooms, teacher/VIP lounges, or other areas of a venue. Performance and Theatre Rules are in effect for the protection of everyone. Please sign all letters so that we have the opportunity to respond to your concerns. We are always interested in improving and receiving feedback. Feel free to contact us about anything from our contact us page. Thunderstruck Canada will have photographers and videographers at every event, and both photos and video memories will be available to purchase online at http://photos.thunderstruckcanada.com. There are thumbnails of the pictures available online; videos are available to view at the event. Purchases of photos or video are for your personal use and enjoyment, and we reserve to right to protect them under the Copyright Act of Canada (R.S.C., 1985, c. C-42).